Home Internet News Tagalog, the fastest-growing language in Canada! Tagalog, the fastest-growing language in Canada! 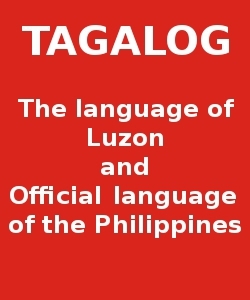 Philippine-based Tagalog is the fastest-growing language in Canada, Statistics Cana said in its 2011 Census of Population: Linguistic Characteristics of Canadians. More than 200 languages were reported in the 2011 Census of Population as a home language or mother tongue, a statement from the Department of Foreign Affairs (DFA) said. More details after the jump. “The home languages showing the strongest growth between 2006 and 2011 were primarily Asian,” and the “the population that reported speaking the Philippine-based language Tagalog increased by 64 percent, the highest growth,” StatCan said. “Nearly 279,000 people reported speaking Tagalog most often in 2011, up from 170,000 five years earlier,” survey results said. Tagalog is now the fifth most common non-official language spoken in Canadian households. The top 10 immigrant languages spoken most often at home in 2011 were Punjabi, Chinese n.o.s., Cantonese, Spanish, Tagalog, Arabic, Mandarin, Italian, Urdu, and German. Vancouver has one of the largest Canadian populations of Tagalog speakers, with 47,600 reporting to Statistics Canada that it was their primary language at home in 2011. Tagalog is now the most common immigrant home language in Edmonton and the second most common in Calgary, after Punjabi. Filipinos who used to flock to the United States (US) have discovered there is a greener pasture north of the US, Philippine Ambassador to Canada Leslie Gatan said. The word has spread around that Canada is some kind of a promised land as economic growth in Western Canada has created a wealth of new opportunities for Filipinos and that and many new immigrants are traveling to Edmonton, Winnipeg, and Regina for jobs, he said. Last summer, the Philippine Embassy held trial Tagalog classes in Ottawa, in response to parents’ concerns that their children will forget how to speak the Filipino language.